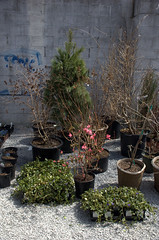 It was a beautiful day to visit Gowanus Nursery. I bought six plants, just enough to fill the two shopping bags I brought. They threw me off when they gave me an extra Columbine, a survivor from their old location which they were giving to customers today to celebrate their re-opening. 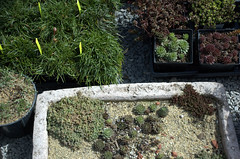 They also had some beautiful pre-planted trough gardens. If I'd had personal transportation I would have given them more attention. This space is on a much wider lot than their old 3rd street location, better suited to wandering amongst the generous displays of plants. 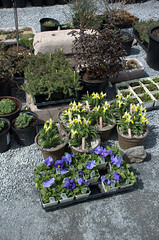 They have lots of elbow room to bring in more plants, and spread out their stock as it gets larger during the season. Construction of shelters and other structures was still going on when I visited. Will be interesting to see when everything's put together. Many more photos below. Or visit the Flickr set. 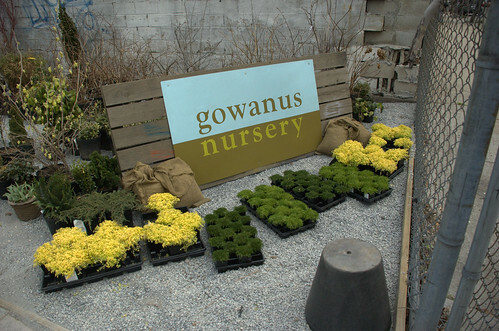 I'm off to visit Gowanus Nursery on their Grand Re-Opening Day on Summit Street in Red Hook. I've got my eye on some native plants, especially Opuntia and Aristolochia, neither of which I've grown before, nor are they common garden plants. 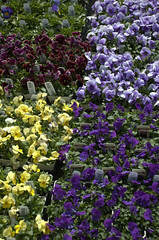 I'm also on the lookout for some unusual drought-tolerant flowering plants for the front garden window-boxes. Without a driver's license, and with my partner not being a morning person, I have to solve the problem of finding the shortest path over the direct acyclic graph of Brooklyn transit on the weekends. We'll see how long it takes me to get there and back! Just because. 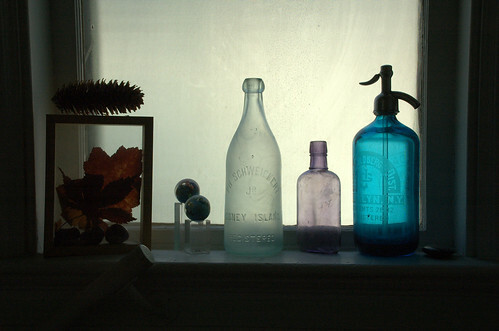 This collection sits on a windowsill on our staircase. I walk past this at least twice a day. 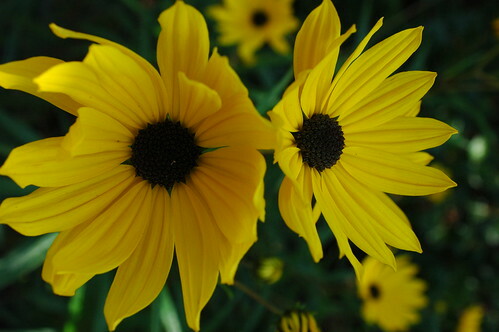 I took these photos this afternoon. Here are some other views. 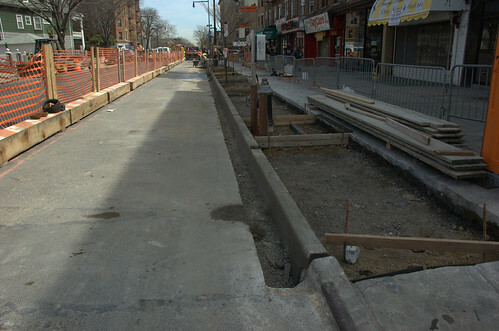 Construction to revamp the streetscape on Cortelyou Road is well underway. I'm really interested to see how the new, wider tree pits and extra planting areas work out. With adoption by business and residents, they could be beautiful. The plan calls for the planting of 40 new Linden trees, Flatbush Light Poles, benches, clocks, bike racks and wrought iron tree guards. This streetscape will create a public space that invites pedestrianism, improves public health, stimulates local economic activity, and attracts residents and visitors to the community. Click the image above for larger sizes where you can see the scoring line along the sidewalk on the right-hand side. Here are some other images from this afternoon. 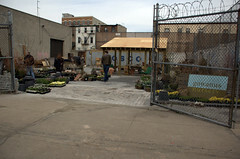 WNBC reported, "It took investigators several hours to remove all of the drug-related material from the location." Also, it was "unusual" for so many pot plants to be grown in one city location. Drug Enforcement agents raided a Washington Heights apartment building on Tuesday and found a virtual "forest" of marijuana plants being grown on one floor of the building. Con Edison electrical experts were also called in to help dismantle the drug facility because of the advanced lighting that was installed across five rooms of the building. I'm strictly an outdoor gardener. I can't even keep a houseplant alive. Nevertheless, I will state for the record that this is not the sort of CSA I hope to see in my neighborhood. The Garden-Based Learning Program develops projects, activities, and other materials, as well as gardening content- and youth development-oriented support. Many of our materials can be found on-line at this site, or through the Cornell Cooperative Extension Media Services Resource Center. 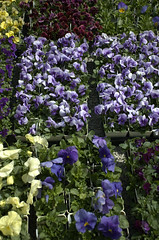 The Garden-Based Learning Program is based in the Department of Horticulture at Cornell University. We partner with faculty and staff in other departments at Cornell, educators in county Cooperative Extension associations, and with other agencies throughout the U.S.
Our garden-based learning team encompasses a small group of county and campus educators that meet twice each year to brainstorm new projects, share resources, and plan conference and inservices. The idea is to post at least once from Friday to Sunday Easter Weekend, April 6-8. Reproductive health decisions made by individuals, not religious "majorities"
The right to worship, OR NOT. So take your pick and write your post(s). Really, the wider variety of topics makes it all the more interesting. I've thought about this a couple of days, about whether or not I should write about this, about whether or not I would flag it as "off-topic" for this blog. I will. And I won't. 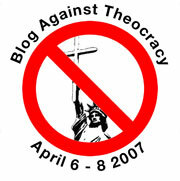 First, I will contribute to the blogswarm. When I mentioned it to my partner, a minister, he said that I should totally do it, that I "have a compelling story." We'll see about that. I will write from a personal perspective, from my experience. I'm thinking about a three-part post, one for each day. 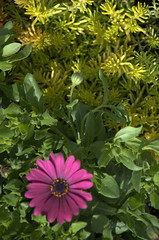 Second, there is definitely a connection between gardening and spirituality for me, so this is completely on-topic for this blog. I'll leave the details for my third post next weekend. The New York City Department of New York Parks & Recreation, New York State Department of Agriculture and Markets (NYS DAM), New York State Department of Environmental Conservation (NYS DEC), and United States Department of Agriculture (USDA) today announced that the Asian Longhorned beetle (ALB), an insect classified by the USDA as an invasive species and an imminent threat to the United States and New York City’s forest ecosystem, has spread to Staten Island. 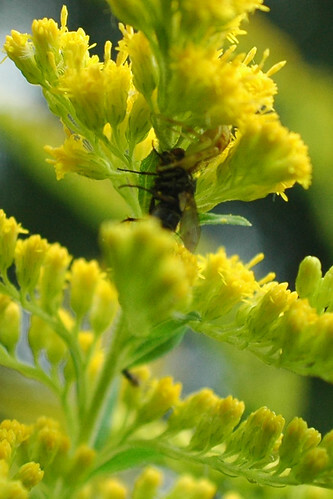 An infested silver maple tree, located on a private wood lot in Bloomfield, is the first evidence of the beetle found on mainland Staten Island, and was detected on March 22, 2007 by USDA tree climbers. Surveys intensified on Staten Island since the detection of infested trees on nearby Prall’s Island. To date, only one infested tree has been detected on the mainland and survey crews will continue to inspect ALB host trees to determine if any additional trees are infested. Due south, on the 88-acre, uninhabited Prall’s Island which is owned and operated by Parks & Recreation as a bird sanctuary, 37 ALB-infested red maple and gray birch trees have been discovered since March 1, 2007. Not all trees on Prall’s Island have been surveyed. The ALB-infested tree in Bloomfield sports light damage in the form of ten egg sites in its canopy. 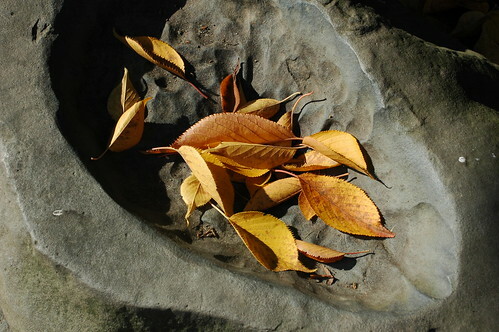 When inspected by USDA climbers in May 2006 just prior to flight season, the tree was not infested, leading experts to believe that the tree has been infested for less than a year. USDA surveyors inspected the wood lot following the confirmation of significant infestation on nearby Prall’s Island, which is located in close proximity to ALB-infested areas in New Jersey. Parks continues to work with partner agencies on the federal and state levels to monitor both infested areas of Staten Island for further signs of the beetle, develop strategies to remove infested and potential host trees, and dispose of removed trees in a manner with minimal ecological impacts. This is really discouraging news. I'm sure there's lots of other things going on this weekend, but these are things which I'm planning to attend, or wish I had the time to. 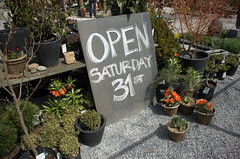 Thanks to Gowanus Lounge for reminding me about Prospect Park Opening Day this weekend. PS: Big = the weekend, not the gardener. PPS: Okay, the gardener is kinda big, too. A former parks commissioner [Henry Stern] says the city is paying more money than it should [$1100] for each tree. 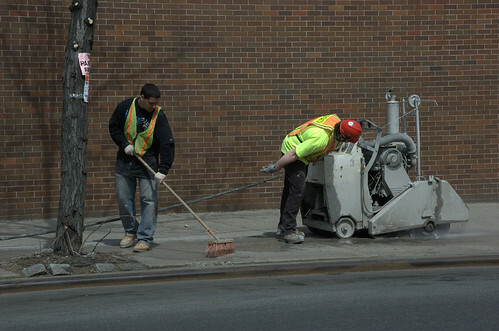 The high cost can be attributed in large part to an increase in labor costs, which date to a 2003 decision by the city comptroller, William Thompson, to raise the pay of tree planters more than threefold. Today, tree planters make about $55 an hour, up from the $15 hourly wage they were paid before the change. 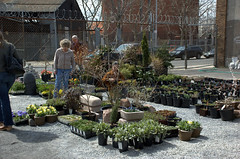 Prior to that decision, the price of planting a tree was about $700. During the first three fiscal years of this decade, the parks department planted between 10,000 and 13,000 saplings each year along city streets, according to the parks department. 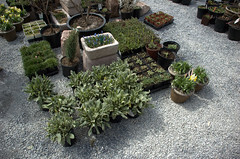 By contrast, during fiscal year 2006, the department planted 7,200 saplings. 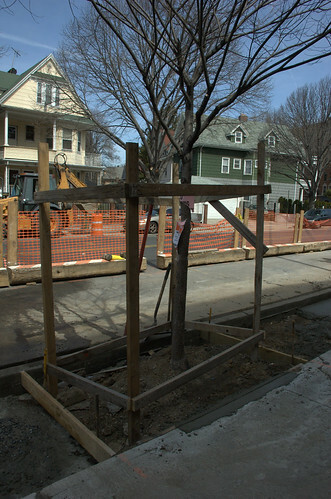 one contractor, Angelo DeBartoli, said a second change in the contracts contributes to the high price of planting a tree in New York City. A new rule requires contractors to replant trees that are felled by vandalism within two years of their planting, he said in a telephone interview. Mr. DeBartoli, the owner of Robert Bello Landscaping, said it was "insane" that contractors had to guarantee the trees against vandalism once the plantings were finished. The decision to raise the wages came as the comptroller's office reclassified the job of planting trees to labor from gardening. But that classification is in question today, as it was when it was made. 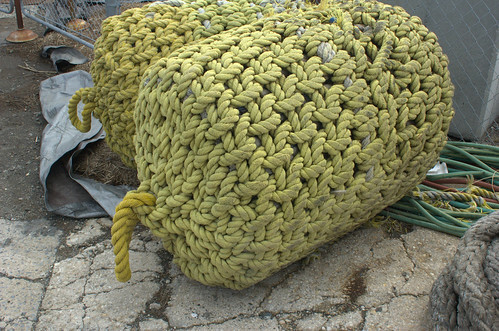 "We got lumped into the laborer category, but we're landscapers," Mr. DeBartoli said. "We don't come out with cranes and all kinds of fancy equipment. We come out and dig a hole and plant a tree and put stones around it." The trees, which are about 8 feet tall, often weigh 400 pounds. While heavy labor is a part of the job, it is only a small part of it, he said. Mr. DeBartoli, whose landscaping firm plants some 2,000 saplings annually for the city, said he and 10 other contractors have formed an association and intend to ask Mr. Thompson to change the wages they must pay their work crews. This is the first I've heard of the Bartow-Pell Mansion Museum. I'm not generally one for musty old rooms. The Orangery looks lovely. And there are some formal gardens to sweeten the visit. On Sunday, April 15th at 4pm, Curtis Barnhart and Nate Shellkopf will provide a hands-on presentation about the techniques used and the intricacies of restoring Bartow-Pell’s L’Orangerie doors. They will also discuss the importance of preserving historic structures in an age when older structures are often taken down and replaced by new building. The fee is $8/pp. Please call 718-885-1461 or email info@bpmm.org to make a reservation. 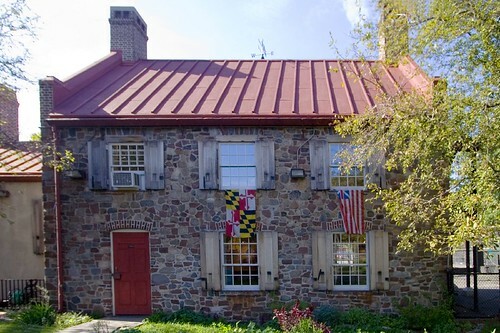 The Bartow-Pell home was built by Pell descendent, Robert Bartow, between 1836 and 1842. 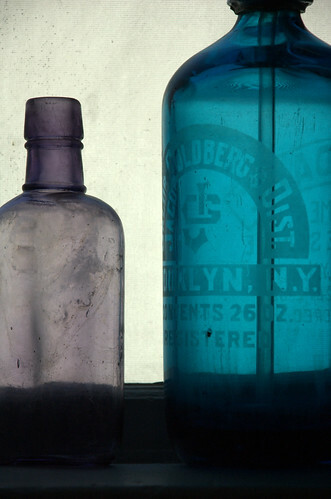 The property was annexed by the City of New York in the late 1880s and was then left in derelict condition. In 1914, the women of the International Garden Club saved and restored the site and opened the gates to the public as a museum in 1946. During the years of 1915-1918, the firm Delano and Aldrich undertook the restoration of the Bartow-Pell Mansion Museum and were credited with the creation of a new conservatory, otherwise known as L’Orangerie. After years of wear and tear; and witness to almost 100 years of history, the doors were in desperate need of repair. In the summer of 2006, the restoration and preservation of beautiful doors went underway. Curtis Barnhart of Barnhart Restoration and Nate Shellkopf of Southslope Woodworks were charged with the challenge of conserving the existing deteriorating wood, priming and painting of the word work. They also cleaned and conserved the door and transom hardware. At the end of the summer the team provided the Bartow-Pell Mansion Museum with a beautifully repaired L’Orangerie. 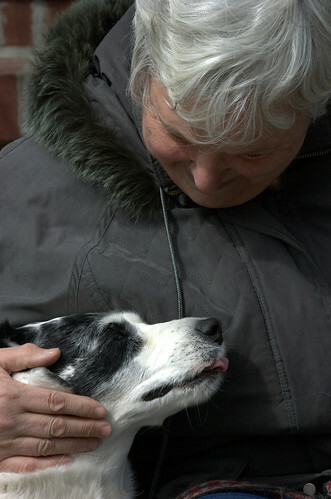 I got to watch some sheepdog trials at the New York State Sheep & Wool Festival last Fall. It would be cool to watch them in action in Central Park. And there's always Sheep Meadow in Prospect Park! This April, the Central Park Conservancy and the New York City Department of Parks & Recreation will pilot a one-month program using an environmentally-safe method to attempt to reduce the number of geese in Central Park. The first step of the process includes herding- but never touching or attacking- the geese with highly-trained border collies. Skilled trainers will lead two border collies in driving the geese away from the Park’s lawns and water bodies throughout the month of April. Parks Department Rangers and Central Park Conservancy staffers will supervise training and goose management. Large flocks of resident Canada geese leave excessive goose droppings, resulting in large areas of landscape that are unavailable for public use and recreation. In Central Park, geese continually overgraze the grass around the Harlem Meer and its surrounding landscapes, increasing erosion. The high nitrogen content in goose droppings can alter water chemistry and produce algae that rob the water of oxygen, killing fish and other wildlife. Bred to herd sheep, collies have a natural instinct to round up flocks of geese. By patrolling various areas of the Park, the geese will be encouraged to abandon the lawns and water. In conjunction with the border collies, public education is crucial. Feeding geese only encourages them to linger in public areas. 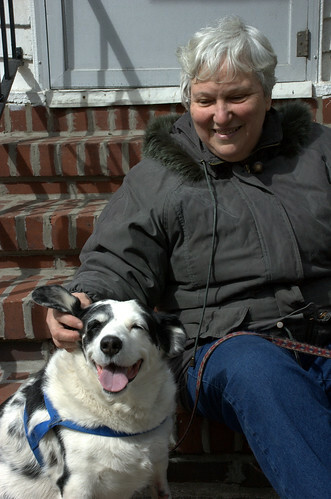 Herding dogs and education are two methods of Canada goose management that are approved by the Humane Society and the USDA Office of Wildlife Services. To deem its effectiveness in Central Park, Geese Police Inc. will pilot a month-long, 24-hour-a- day program. At the end of the month, the Central Park Conservancy and the Parks Department will determine its effectiveness in moving the geese and interacting with the public before extending the project. 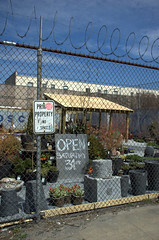 I'm looking forward to the re-opening of Gowanus Nursery this Saturday. 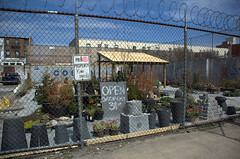 I really liked their old location on 3rd Street (I think it was) in Gowanus. Now they will be on Summit Street in Red Hook. 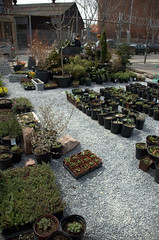 Their Web site indicates they will have the same great selection they had at their old location. 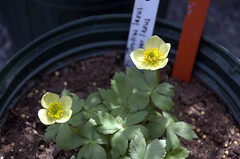 Here are all the plants listed under Perennials, Native Species, on the Offerings page, along with some of my notes and comments. 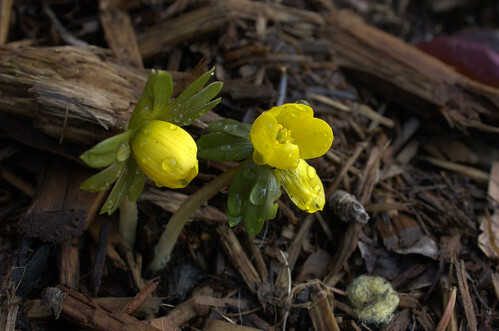 Drosera, the business Web site of Marielle Anzelone, has lots of plants lists, design tips, and other information for using native plants in New York City gardens. 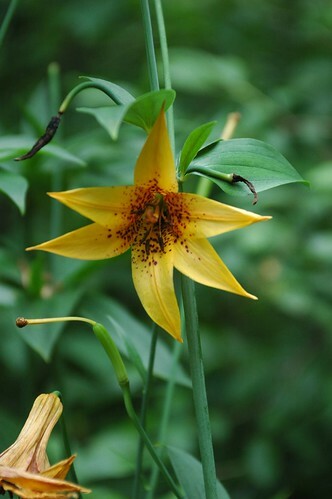 The New York Flora Association Atlas and the USDA PLANTS Database are excellent tools for researching native plants and their distributions and characteristics. 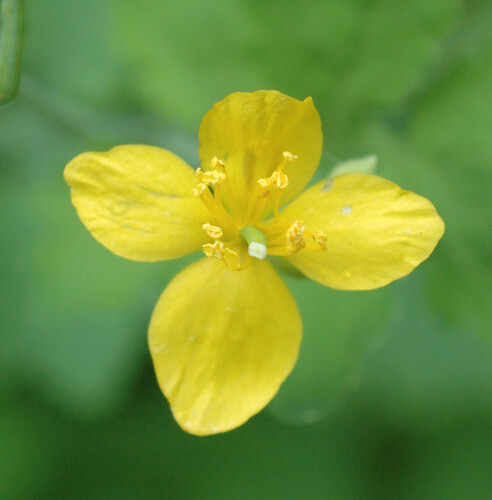 They also contain information about invasive plants. Marine Grill Murals (1/6), depicting Native Americans in canoes rowing out to greet a schooner. A: They're rat-infested, crowded, dirty, smelly, and noisy enough to deafen a banshee. However, they are safer than they used to be. And they have magnificent tilework from the golden age of public transportation. Q: What are the subways? 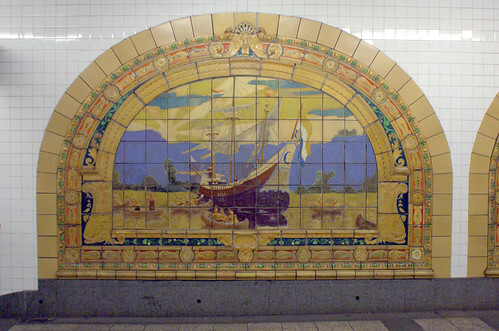 The 1913 Marine Grill murals by Fred Dana Marsh, now installed in the Fulton/Broadway/Nassau complex, were originally in a basement restaurant of the McAlpin Hotel on Herald Square. The developer converting the hotel to condos agreed at the last minute to preserve them. While the workers managed to remove most of the ceramic tiles without breaking them, they simply piled them at random in two dozen crates. MTA Arts for Transit had the crates delivered to a TA bus garage with some free floorspace, and a group of college interns spent their summer playing jigsaw puzzle! 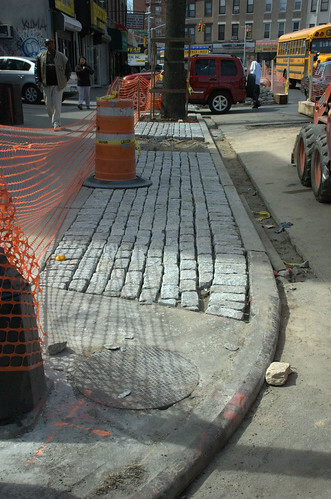 They were reinstalled at Broadway/Nassau in 2000. Marine Grill Murals (2/6), depicting pilgrims arriving at a Dutch settlement on the shore, complete with windmill and hangings. 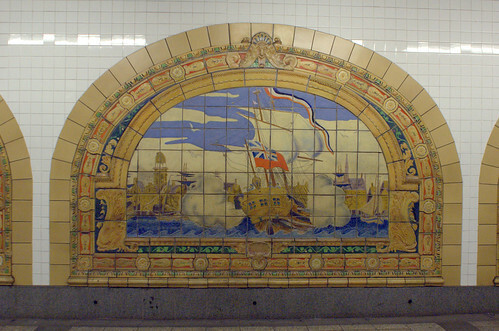 A collection of colorful terra cotta wall panels designed by the late muralist Fred Dana Marsh that depict New York City's nautical heritage is looking for a new home. For over 40 years the 24 panels were the backdrop for the 250-seat Marine Grill at the McAlpin Hotel on Herald Square, which opened in 1912 and between World Wars was one of the city's more fashionable restaurants. Preservationists failed in a bid to have the restaurant designated by the Landmarks Preservation Commission but the wall tiles may be saved if a museum or historically oriented group can use them at a new location. 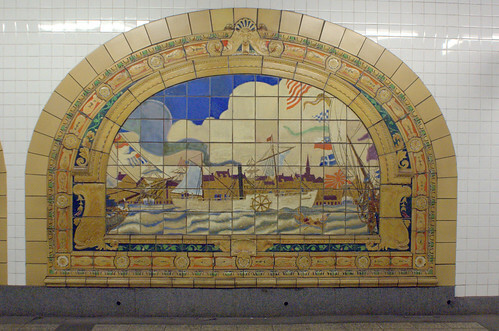 Marine Grill Murals (3/6), appears to depict a British Man-o-War firing cannons in New York Harbor. It would have been hard for Susan Tunick, president of the Friends of Terra Cotta, to imagine a happy ending a decade ago [ie: 1991 or so, shortly after the above NY Times article was written] when she saw dumpsters at the McAlpin Hotel on Herald Square filled with fragments from the fabulously ornate Marine Grill murals of 1912 by Fred Dana Marsh. "It was truly devastating," she recalled. "I could not go near it." That is not where the story ended, however. 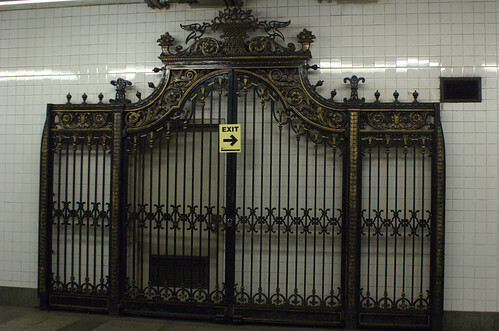 A rescue effort began that eventually involved the New York Landmarks Conservancy, the Municipal Art Society, the Landmarks Preservation Commission and the Metropolitan Transportation Authority. Students working under Vel Riberto of the M.T.A. 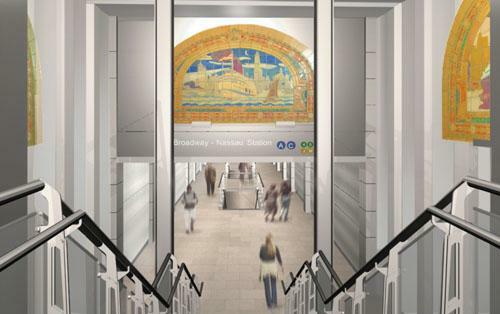 Arts for Transit program reassembled the jumbled pieces, which were turned over for conservation to the Alan M. Farancz Painting Conservation Studio and then reinstalled by New York City Transit workers as part of the overall renovation of the station. "Something about this terra cotta brought out the best every person had to offer," said Sandra Bloodworth, director of Arts for Transit. "It was the opportunity to put Humpty Dumpty back together again." The project cost about $200,000. Marine Grill Murals (4/6), depicting Robert Fulton's steamboat Clermont (1808). 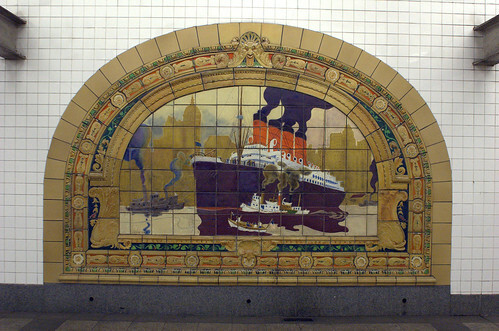 Marine Grill Murals (5/6), depicting the Mauretania (1906). Marine Grill Murals (6/6), depicting the Fall River Line steamboat COMMONWEALTH in 1908. Fulton Street Transit Center: A view east to the A/C mezzanine, which will improve connections to the J/M/Z platforms. 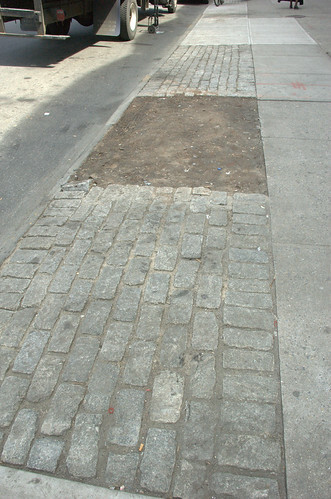 Credit: LowerManhattan.info. Source. 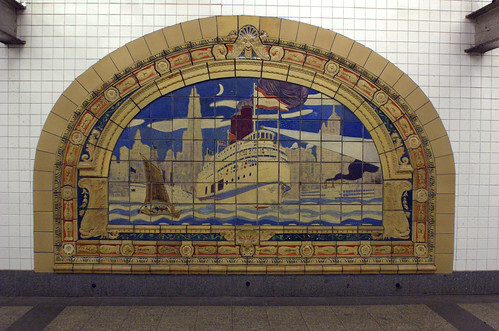 The landmarked terra-cotta murals, designed by Fred Dana Marsh, reveal the history of New York harbor, making their 2000 move to this downtown station near the water rather sensible. 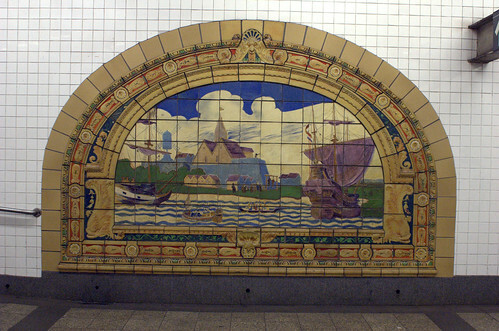 The murals depict Native Americans rowing out in canoes to greet a large schooner, pilgrims landing on the shore (look for the Dutch windmill and the two people being hanged), Robert Fulton’s Clermont steamer, a luxury liner sailing in front of the more modern New York City skyline, and lots of other ships bearing a multitude of international flags. In addition to the murals (of which there were originally twenty at the McAlpin), the intricately carved ironwork entrance gate to the restaurant is on display as well. I can find little information about the artist. Although a Google search turns up hundreds of hits, most of them simply duplicate the same information. He was born in 1872 and died in 1961. There is a Fred Dana Marsh Museum in Tomoka State Park in Ormond Beach, Florida, near Daytona Beach. Continuing the rainbow series. Previous posts were pink, red and orange. I need to finish the series in time to prepare some cards to hand out at the Brooklyn Blogfest in May. Indigo is going to be tough; I might skip it, go straight to purple/violet, and come back to indigo later. Good Planets is up on Bev Wigney's wonderful Burning Silo. The theme was Memory. 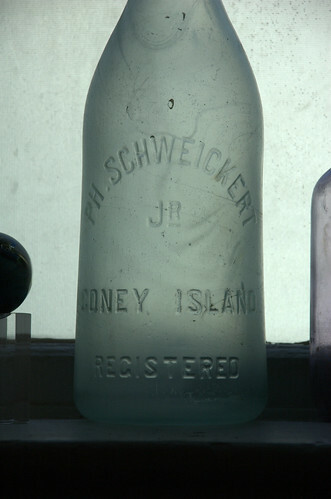 Contributors explored memory through many different lenses. Definitely check it out. Above is the photo I contributed. 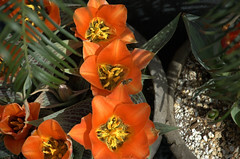 This may look familiar; it's the lead photo for my recent post of "lost and found" photos from the Brooklyn Botanic Garden from November 2005. Several people found that photo evocative. It is for me as well. Below is my explanation of how it connects to "memory" for me. 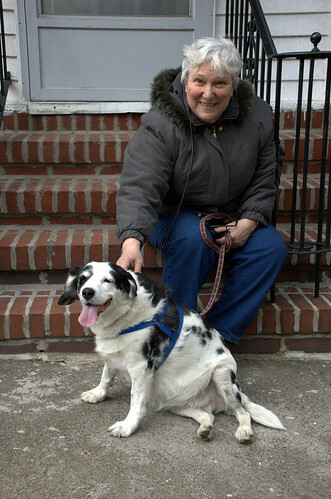 At her invitation, this afternoon I took some pictures of one of my neighbors, Mary-Lou, with her dog, Spunky. Visit my Flickr site for the complete set. This is 40-46 Argyle Road, also known as Argyle Court. 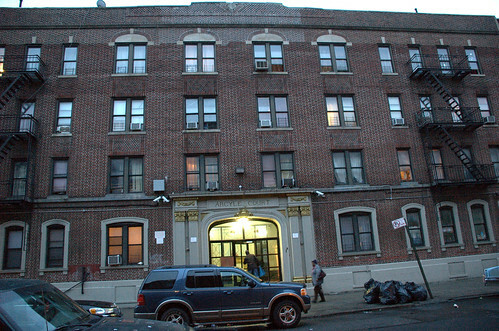 Mathieu Eugene, who is forcing a second special election upon the residents of Brooklyn's 40th City Council District, claims to live in this building. Here in Brooklyn's politically-beleaguered 40th City Council District, we are gearing up for yet another special election. 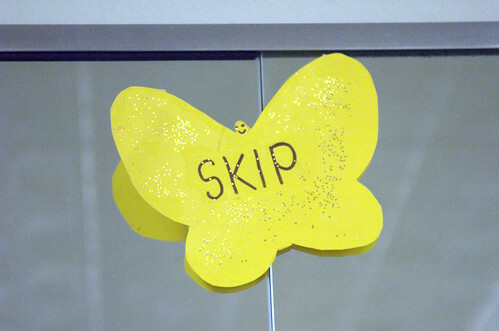 Today, Friday March 23, was the deadline for candidates to accept or decline their nominations for the April 24 election. The voting sheet looked very odd, with just one row at the top of the sheet, and not enough room to list all 11 candidates! Turnout was extremely light. The winner of this election is likely to do so by a handful of votes. Every vote counts, unlike some elections [g]. How could I have been so naive. Every vote was wasted. Brooklyn's 40th City Council District seat was vacated when Yvette Clarke, was elected to Congress last fall. To fill the seat, a special election was held, with 12 candidates running (11 on the ballot, and one write-in). Questions arose about where the winner of that election, Mathieu Eugene, lived, and when he lived there. Elected officials must live in the district they represent. An investigation began. Eugene, after refusing to provide proof of residency, called for a second special election. This is not the half of it. The best analysis of this farce I've read continues to be written by Rock Hackshaw (isn't that just the best name?!) on Room Eight, a New York political bloghaus. Only 3.16% of the voters in the 40th District voted for the winner of this race. The day will be jam-packed with over 45 workshops, many new this year, more hands on training and loads of opportunities to network and rub shoulders with all the greening groups represented in the tabling foyer. Offering lots of kids and teen programming, this conference promises to be fun for the whole family, and is an excellent educational resource for the city's many teachers. Participants are encouraged to sign up before the conference. Please fill out the form and mail the $3.00 registration fee to pre-register. Check-in will begin at 9:00am and a free continental breakfast is provided from 9:00 to 9:45am. All pre-registered participants will receive a lunch box and a t-shirt! Participants may also register on the day of the conference, but we will not guarantee a lunch box, and t-shirts will be $5.00 each. Via Wendy Brawer at WorldChanging New York. 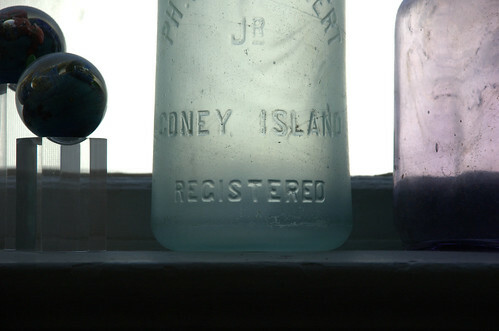 Among the Brooklyn neighborhoods that FBNPA is recommending for landmark status are Canarsie’s Seaview Village, two Victorian Flatbush enclaves (Ditmas Park West and West Midwood), Prospect Heights, and streets in Williamsburg and Downtown Brooklyn. Ditmas Park West is immediately south of my neighborhood, Beverley Square West, and west (surprise!) of the Ditmas Park Historic District. West Midwood is south of Ditmas Park West and west of Midwood Park and Fiske Terrace, which have already been proposed, but not yet approved, as new Historic Districts. They are also recommending the expansion of the tiny Carroll Gardens landmark area. 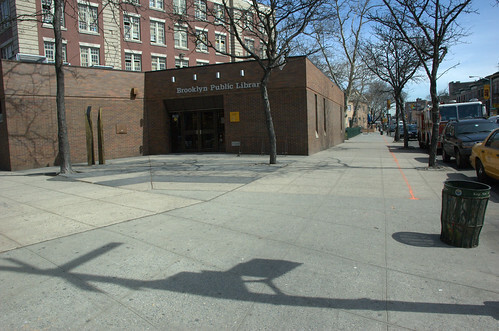 Among the structures on the list are several in Canarsie, Gravesend and Williamsburg, as well as one in Bay Ridge, one in East Flatbush, and one in Bushwick. I've never heard of the Four Borough Neighborhood Preservation Alliance (FBNPA) before reading this article. I can't find a Web site or any other contact information for them online. I would provide a link if I had one. If you know of anything, please leave a comment. Back in February, Only The Blog Knows Brooklyn (OTBKB) announced that the Second Annual Brooklyn Blogfest will take place May 10th at 8pm. The theme is "The Impact of Brooklyn Blogging." It will be held at the Old Stone House in J. J. Byrne Memorial Park in Park Slope, near the middle of 3rd Street between 4th and 5th Avenues. There will be special guest speakers, an OPEN MIC FOR ALL NEW BROOKLYN BLOGGERS and lots of time to meet and greet. Donation (Tip Jar): $5.00 (to defray costs). The great hall comfortably accommodates 80 standing, 60 seated. When rented in conjunction with the first floor gallery the House holds 125 people. Adding a tent expands our capacity.